I've been a bit of a bad blogger recently as life's a bit crazy at the minute. I have quite a lot of work to do and I haven't been shopping for weeks! This is going to be a bit of a rambly ins and outs kind of post. Today I listened to the lovely Ellie Gouldings new album on Spotify and I love it. Theres a nice mix of songs on the album and it's growing and growing on me. I'll definetley download it as soon as I have some money! I bought the Mineralise Skin Finish by MAC about a week ago and im not sure what to make of it. I had really high expectations of it after all the fantastic reviews i'd heard about it. Originally I was using a £4 No17 powder and a few times i've been tempted to go back. 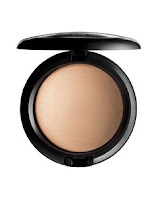 I like the fact you don't need a lot of the MSF and so hopefully it will last a while but I can't see much of a difference between it and a drugstore pressed powder, perhaps im doing something wrong or maybe its just not for me? I'm overwhelmed by the number of entries into my giveaway and hopefully i'll be sorting through them all and drawing a winner soon. Im a bit upset that quite a few entries are by 'bloggers' who only blog about giveaways. My giveaway was for my lovely supportive followers and not for people who are only following for something to win. I've passed the 500 followers mark recently too but I will be really upset if im unfollowed as soon as I announce the winner - if im honest i've thought about making a new blog and only asking for loyal followers who like what I write to follow. I've also won a couple of giveaways recently from blogs I absolutely love and i'm so grateful to the lovely girls who hosted them! I really like entering giveaways as it's a nice way of being part of the community and showing some love for the fantastic blogs that are out there. 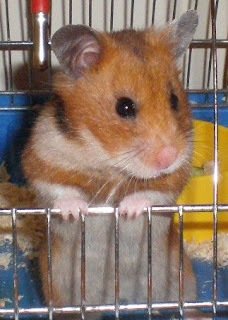 My hamster Honey was 18 months old yesterday and I love her to bits although I don't like the idea of her getting old - she will always be my baby! As I mentioned earlier, I haven't been shopping for ages so I haven't had a lot to post about - I really want to get my hands on the Dream Creamy foundation and some of the ASDA nail polishes - if theres anything new that you've found and love please leave me a comment as I love your recommendations!! I also want to say a huge thanks to the girls who were really supportive about my Blood Donor post and especially to the ones who have decided to go and give the blood! You really are amazing :) I was considering getting my ears pierced again but after weighing it up giving blood is more important to me and im still regretting not giving it as early as I could have. Tumblr has become a bit of an addiction for me recently even though i've had it for quite a while! I've liked over 1000 pictures and im really happy to have reached 50 followers too - if you have a Tumblr let me know as i'd love to follow you! i dont really like the msf, ive tried it once and switched back to blot powder when i finished, i found it ok with my fix plus but i was really disapointed by it, i found it to sheer,much prefer my skin to look airbrushed lol i do however have a friend who raves about it. Ooh I'm really liking the Maybelline Dream Creamy foundation at the moment, I picked it up last week and have neglected my Revlon Colour Stay ever since. And I can relate with the asda nail varnishes, I haven't been to asda in ages as it's a little out of the way for me. I hope to get some soon though, the colours look lovely, especially for the price. I don't know how I feel about the MSF either, although I think it has more to do with winter as I loved the light coverage in summer but as my dry skin is even drier in winter it just sits funny on my face! Your hamster is adorable, mine died a couple of months ago poor thing. Your hamster is too cute! !